Ranger Rick from Jellystone National Park, probably saluting those who have sent all of the problems on the Ranger Rick Boulder. 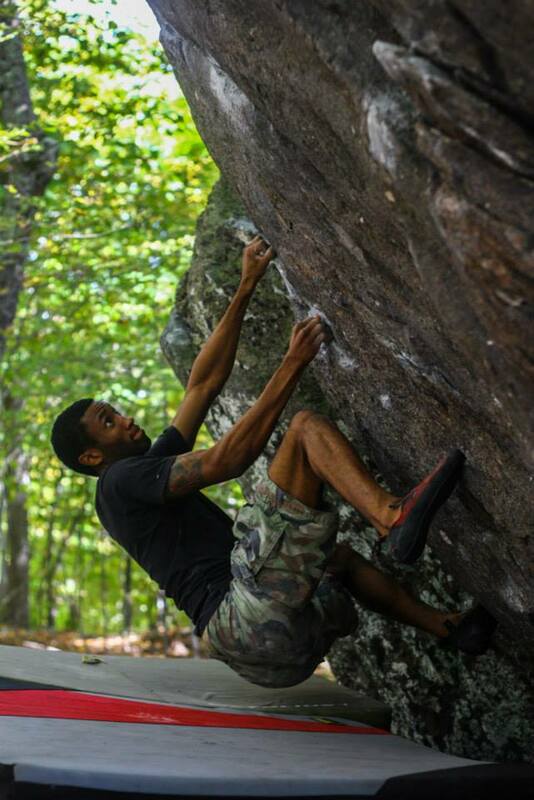 Ranger Rick is without a doubt one of the most frequented boulders in GHSP. Aesthetic and hosting a series of varied starts and difficulties, it’s no wonder that problems on the Ranger Rick Boulder are often at the top of the Grayson Highlands must-climb list. The Ranger Rick boulder is tucked away in the forest behind the Park Office with the rest of the Contact Station Boulders. 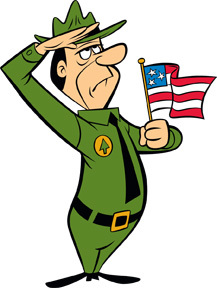 Its name stems from the park ranger character in the classic Yogi Bear cartoon, and the boulder’s close proximity to the Park Office where you can usually find a friendly GHSP ranger. Among the varied starts, Ranger Rick (V0) stand starts high in the lowest rail jug. Every hold above the start jug is deep and in-cut, while overhung, and the trickiest part of the line is finding the “juggiest” of the jugs to hang back on through to the nice top out. Ranger Rick (V1) begins one set of holds below the V0 rail jug. The start holds are two side-by-side, in-cut crimp rails. 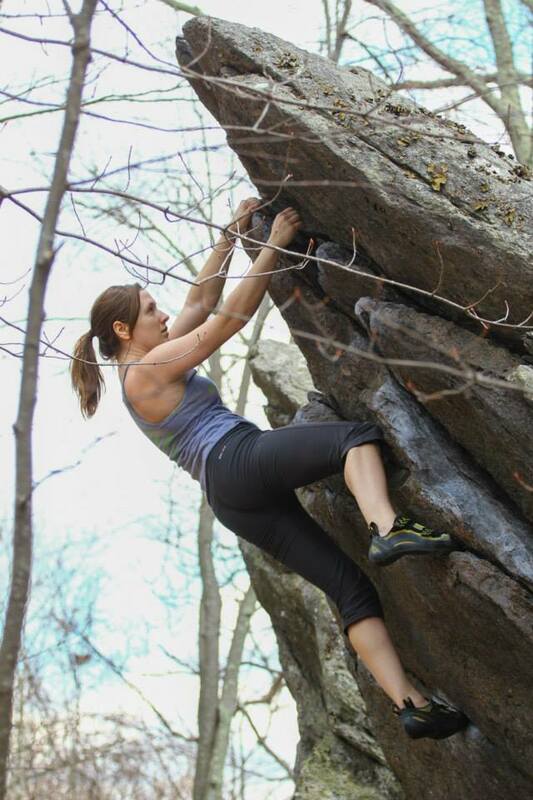 This start can be a little perplexing in figuring out how to best position feet and bodyweight, but if you can pull onto the start holds you can definitely pounce to the higher V0 start and finish as per. or want to quickly dispatch a climb of that grade, this one is for you. The line sit starts on the two side-by-side, in-cut, thin crimp rails below the V1 start. 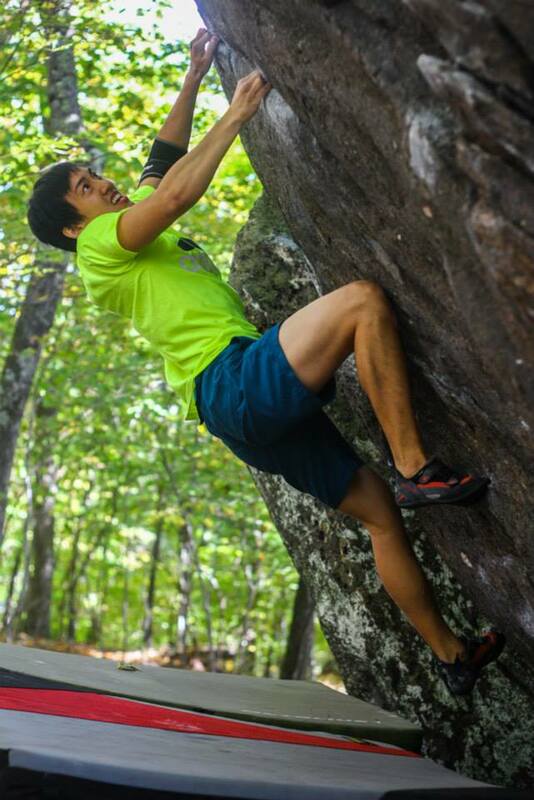 Figure out the feet, pull through to the start holds of the V1, and finish through the fun, higher V0. Several other problems and variations can be found on the Ranger Rick Boulder, and in the area other classics like “Periscope” and “True Grit” are just seconds away. 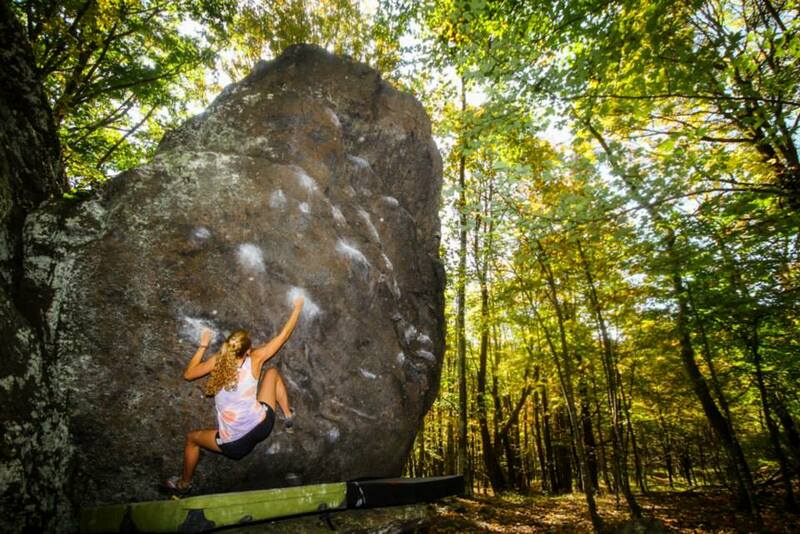 and implementation of bouldering in the park. If you meet a Park Ranger or Park employee while walking to the boulders in the Contact Station Area, or anywhere in the park for that matter, you might take a moment to say hello or thank these folks who work so hard to keep the park beautiful, safe, and climber friendly. A huge thanks to CJ Yunger for the great photos of the Ranger Rick Boulder and the many other awesome shots in the past!